We have a large selection of pocket plates for small snooker or pool tables, from 4ft tables to full size 12ft tables, a choice of Brass coloured and Solid Brass. 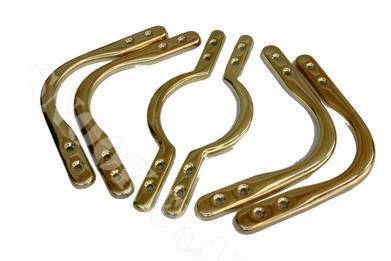 These are steel pocket plates brass coated ideal for most foldaway snooker tables or fixed leg snooker tables, they come in 2 sizes small or medium, the medium is 1/2" longer at the back of the corner plates, can be used with the small or narrow bow snooker leathers. 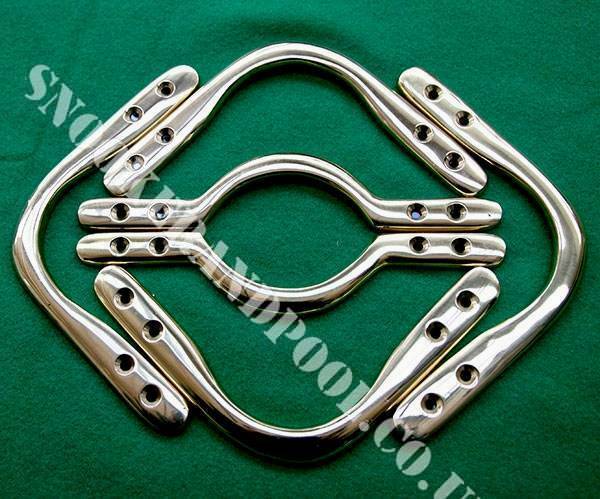 These are for the heavy snooker tables and made from solid brass, 2 styles ones with 2 pins at the end of the plates and ones with bolts that come up from the bottom of the cushion can only be used with broad bow snooker leathers. 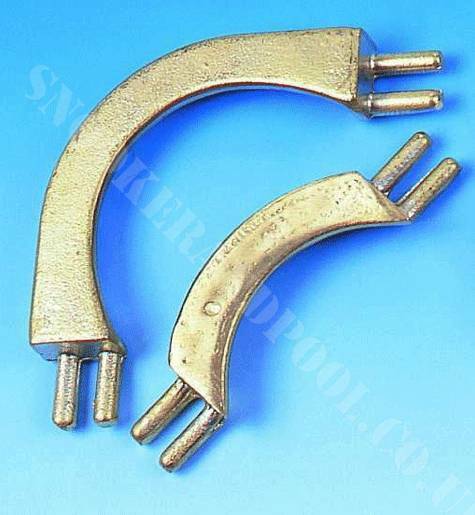 These are solid Brass and again come in 2 sizes small and medium, the medium is 1/2" longer at the back and can be used with the small or narrow bow snooker leathers.